The first real step to anything is research, and lots of it. The most important step to any SEO campaign is keyword research. The first step to consider is the niche you are in, and the products or services that you are promoting. You should come up with a list of potential keywords that your customers would use to find you on the web. After that you could use the Google keyword search tool to analyze your list, checking the competitiveness, number of monthly searches and the strength of the competitors currently on page one. A competitive market analysis is the next important step you should take. After you have your final keyword list, create a spreadsheet with all the keywords, and then list all the competitors from page one of Google. You could use a program like SEO quake to collect some of the data that you will need, such as their page rank, number of indexed pages, inbound links, whether or not they have a site map and much more. 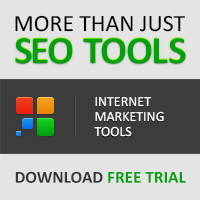 This will tell you how difficult and how long of an SEO campaign you will be embarking on. Next step should be the on page SEO factors of your website. First and foremost is content, if you are not providing quality content that solves people's problems then your efforts will be in vain. Great content will keep your visitors coming back on their own which will greatly assist your SEO efforts. Make sure all the on page dynamics such as header tags, meta tags, alt tags for images and HTML code is done correctly. These are the simple things that improve your 'findability'. You also want to ensure that you have a proper site map created and submitted to the search engines, this will increase your chances of all your pages being properly indexed. Number four is off page SEO strategies. The biggest and most important overall here is back linking. Google views every back link your site has as a vote for your site from someone else. The best back links you can get are called one way links. One way links are where another website links to you without you having to link back. Good examples of this are article marketing, blog commenting and directory submissions. Reciprocal linking is where you link out to website a and website a in turn links back to you. These are also good links but you should only focus on the ones targeted to your niche and those having a higher page rank than you. Good back linking takes time and effort, this cannot be accomplished over night. You should also avoid any link scams, link farms or questionable linking strategies. If you have to stop and wonder if it's ok to do it then it probably isn't. The last step that is very crucial to your SEO success is the overall promotion of your website. There are several ways of effectively promoting your products and services via the internet. This can be promoted in conjunction with your website or separately for added exposure. This allows you to keep track and communicate with your customers and potential customers. These are blogs, hub pages, wikis and such. Also a great source of quality back links for your site. If done correctly this will establish you as an expert and help you to generate back links and additional traffic to your offers. If you have a business in the offline world you certainly want to use this method to promote your business. Google places for instance typically will come up first in the search results. These are just a few of the strategies that you can use to begin a successful SEO and web promotion campaign. The most import step you will take is to take action. Everything you do should be with the intent of growing your business. About The Author: Byron Cole Smith - Learn how to take your website to the top of all major search engines, contact Columbus SEO Services. Click here to see how Professional SEO Services can help you achieve the results you want. As you may know from my previous post: Latest Blog Changes and Tools, I've been busy making some changes and enhancements to the blog. Some of these changes and enhancements include a Contact Tab, a widget at the bottom of your browser which has a selection of tools that allows you to like, tweet, share, translate and search my latest blog posts, plus a Facebook fan page where you can view the latest blog posts, have discussions with other members, plus keep up to date with the latest blog news and developments. My work hasn't stopped there... and to help support the large number of blog owners who visit my blog for marketing tips etc, I am pleased to announce that I've setup a Facebook group for bloggers called the Bloggers Network. If you're looking for more visitors to your blog, need help and advice, or just want to chat with other bloggers to share ideas and marketing tips etc, the Bloggers Network is the place for you. Join us today and start networking! Another addition coming soon to compliment the blog and to help my visitors will be a Business Network group for small business owners. Notification of it's launch will be announced soon on the Facebook fan page. Finally, I will be updating the Top Blog and RSS Directories list within the next couple of days with new sites. As this list is updated often as and when new services become available, don't forget to bookmark the page so that you have access to the latest services. Until my next post, have a wonderful day! Blekko.com is a great search engine concept where users can use their Facebook friends to filter their internet searches and get the most from their search. In other words, when a user enables the service, the search engines crawls and collects data from the individuals Facebook friends to places (including websites and pages) that the friends have liked. This endorsement of sorts from the users friends acts as a screening for the user and allows them to curate their searches and make the most out of their search launch. The concept is, if their friends like it, then they will too. Blekko.com launched in November 2010 with a focus to use human editors to scan for authoritative websites all across the web. However, early in January 2011, Blekko revamped their approach to this and incorporated the current system that they now have. By approaching social networking and search engine results in this way, they have increased the sites popularity and the interaction of friends and users on the site. In recent developments with Microsoft, a new social search engine was launched called Montage. This new service is currently in its experimental launch, but Microsoft is aiming to create media-rich and real-time online experiences that users can share with friends in their databases. Through the search function, users will be able to find, share and post information that is both aesthetically appealing and current for the purposes of sharing news and visuals. The launch is being geared up and worked with a team of 30 developers, writers and webmasters to ensure that it offers users a genuine experience and will hopefully become viral. The direction of Blekko.com and the new release by Microsoft appears to be centered at customizing and targeting users online search time. The end goal result of both of these industry leaders is to create optimum search results for its users. If you've noticed lately that Google's search results are a bit spammy, you're not alone. In a blog post, Google Principal Engineer Matt Cutts acknowledged that "we have seen a slight uptick of spam in recent months," and that tech watchers are growing critical. Cutts then outlined a few new initiatives to improve the quality of Google's search results. Among them: Google has a new "document-level classifier" that's better at detecting the hallmarks of spam, such as oft-repeated keywords; Google is improving its ability to detect hacked sites, which were a big source of spam last year; and the company is evaluating other changes, including a crackdown on Websites that primarily copy other sites' content. But on the issue of "content farms," Cutts didn't have all the answers. If you're not familiar with the term, you've probably stumbled upon some content from purveyors. For example, many in the media call sites Demand Media and AssociatedContent content farms. Rich in search keywords and produced on the cheap, content from these sites appears prominently in search results but seem geared solely towards appeasing search algorithms. Although Google tweaked its algorithms last year to give content mills less prominence, the problem hasn't gone away, and Cutts' blog post offered no further solutions. "The fact is that we're not perfect, and combined with users' skyrocketing expectations of Google, these imperfections get magnified in perception," he wrote. "However, we can and should do better." Cutts reiterated that Websites don't get preferential treatment by purchasing or displaying Google ads. Their rankings don't improve and they're just as likely to be punished for violating Google's quality guidelines. I suppose it's comforting to hear Google address issues of search quality, especially as criticism grows louder. Notably, new search competitor Blekko has created a spam clock to count how many spam pages have been created since the start of the year. Google says its results have half the spam they did five years ago, but that count is meaningless if low-quality content mills are able to game the system and get high page rankings. With Google co-founder Larry Page stepping up to chief executive, the pressure's on to improve search while cultivating newer ventures such as software and social networking. Hopefully Cutts' blog post is just the beginning. Until my next post, have a great week! Twitter is a wonderful business tool, not least because it's free. All it will cost is your time (and if that's in short supply, you can hire a social media marketer to manage it for you). Used well, Twitter can provide good exposure for your business, but you can also damage your brand with social media marketing if you're not careful, so it's worth learning the biggest do's and don'ts before you start using Twitter. The beauty of Twitter is that it's a huge global community of human beings (mostly; there are spammer accounts but they're easy to spot, block and report). So do show your human side, especially when using your business account. Talk about things that matter to you: funny things your children say, recent achievements, your favorite band or TV show, and so on. Join in with conversations that interest you - be friendly, show emotion, and use smilies if you want to. On the other hand, don't be too human. Don't share anything you wouldn't share at a real-world business networking event; keep intimate health problems and controversial or potentially offensive opinions to yourself. Some people write well, others don't - that's true in all areas of life, not just on Twitter. You don't need to be a bestselling novelist to use Twitter, but it helps if you have basic literacy skills (and if you use Twitter at the website instead of through a client, your Tweets will be spellchecked as you type anyway - which helps). However good (or bad) your writing skills are, with Twitter's 140-character limit you'll need to be creative with your Tweets. Your Tweets need to be concise yet informative, and often you'll be trying to squeeze in a URL too (URL shortening services like bit.ly and tinyurl.com are lifesavers). One definite don't is using text speak. Text speak is fine if you're 13, but as a professional adult promoting your business you're just going to look silly, and won't communicate your messages efficiently - unless you're targeting 13 year olds. If you have some good news - related to your business or your personal life - share it; everybody loves a good news story. Do share links - to your website, your blog, your local news service, or anything else that interests your followers. This is a great way to get conversations going. But do remember to explain what the link's about, or your followers will feel less inclined to click it. And don't Tweet the same link over and over; people will quickly become bored and may stop following you. Do retweet your friends' links, too. They'll be grateful, and so will your followers if the link is interesting and relevant. But here's a very big 'do' - DO make sure you click the link and read the content before sharing it with your followers, or you could end up sharing a page that's irrelevant or offensive, or which contradicts your usual position on the subject. Don't treat Twitter as your personal billboard. It's not. It's a community, millions of members strong, and the community as a whole is not very tolerant of users who constantly advertise. Try to stick to the 80-20 rule when you use Twitter for business: no more than 20% of your Tweets should advertise or self-promote, and at least 80% should be non-promotional. If you can get the ratio down to 90-10 or 95-5, even better. Listen to what people are saying, and join in. Twitter is a network of conversations, so it's good practice to listen and respond to parts of those conversations that interest you. Don't just stand in the middle of the room with a megaphone, shouting "I'm fabulous! I'm selling widgets at 20% off this week!" Again, if you wouldn't do it at a business networking event, don't do it on Twitter. Do retweet your friends' requests for help (for example, charity appeals and sponsorship requests), and do introduce friends that are new to Twitter and could do with some followers. And again - do retweet useful, interesting links from people you follow, but always check links before sending. Don't use offensive language when representing your business on Twitter; even mild swearwords can put sensitive souls off following you (and besides - cursing in public is hardly professional). Use Twitter to answer customer questions and solve their problems by all means. Many organizations use Twitter as a customer services tool very effectively. But never, ever use an impolite or impatient tone with a customer. On Twitter, everything you say is out there for everyone to see, so leave your followers with the best possible impression of your brand at all time... the Internet has a very long memory! Finally - consider this a bonus tip, since it's not really connected to any of the previous ones. Try to enjoy yourself when you use Twitter. Try to embrace all that's good about Twitter - the new friendships and business contacts you'll make, the fun hashtags and trending topics, the strong community spirit - and before long you'll be singing (or is that Tweeting?) Twitter's praises to anyone who'll listen. About The Author: Debs Williams is Managing Director of debbidoo Ltd, a marketing company in Caernarfon, North Wales that provides marketing, website design, copywriting and internet marketing services to organizations of all shapes and sizes in a variety of industries. Debs is a self-confessed internet addict and keen social media marketer, providing Twitter account management and Facebook page management services to clients who don't have time to manage their own social media marketing activities. Thanks to Google, five small businesses now have rather large advertising budgets. The search giant announced late last week that it's given five firms $100,000 each in "AdWords spend," along with free consultations and wireless service. A post on the Google Small Business Blog explained, "Over the holiday season, we paid a surprise visit to five small businesses who recently started advertising their businesses online: Create A Cook and Twinkle Star in Massachusetts, Ramy's Garage and Atlas Flooring in Texas, and Cloud 9 Frozen Yogurt in Georgia. These small businesses span several industries, but their founders share one common goal: to expand beyond their brick-and-mortar storefronts and into the world of e-commerce." So Google stepped in with its gifts. In return, the company plans to report how the businesses fare, thereby allowing other AdWords users to learn from their example (and give AdWords and the small businesses a little more publicity, to boot). Unfortunately, it's not certain that Google will hold any more giveaways of this nature in the future. Still, the blog post did state, "We're looking forward to making big investments in small businesses far beyond these lucky five." Here's hoping that comes in the form of desirable goodies (in addition to whatever product and service announcements Google might have planned). How Can Twitter Improve Your SEO? What do you do when you come across a social media site with over 190 million users and 65 million daily posts? Turn it into a website promotion tool, that's what. Twitter links are nofollow, but that doesn't mean that you can't use the social network for website promotion. On the one hand, many SEO experts say that Twitter isn't a ranking factor. However, Twitter pages directly influence Google's SERPs and thus may be a major force in search engine visibility. Whether or not Twitter directly affects the SERPs, here are Twitter SEO tactics that are worth checking out. After creating new posts on your blog or site, it only makes sense to tweet about it. You'll be surprised to find how many users search Twitter for useful information or tips. Moreover, you can't expect to receive millions of site visitors simply by posting a link to your site. Choose interesting text for better website promotion. A boring title won't get you anywhere. Something like "10 Tips to Increase Twitter Followers" may generate more clicks. This doesn't really affect your search engine rankings, but it's an effective Twitter website traffic strategy. By having a large group of Twitter followers, more will see your new posts and announcements. Here's how to do your Twitter SEO. First off, for effective website promotion it's imperative that you have a large group of followers. Follow people who share the same interests as you and those within your niche. Some 30% of the users you follow will follow back. Those who are convinced that you should be followed on Twitter are surely interested in your latest updates. Yes, Twitter is really a great PR and website promotion tool. Furthermore, it's highly likely that your followers will write about your new content in their blogs. This translates to link building. Plus, did you know that Google doesn't index shortened URLs? Instead, they index the actual URLs. Thus, you get even more website promotion opportunities. There's this useful Twitter SEO tool/website called TweetMeme that lets you check the number of users that have posted tweets with a link to your site. TweetMeme can also tell which of your posts have been picked up and retweeted by the general public. When doing your Twitter SEO strategies, remember that all your tweets shouldn't be about your own website and content. This is bad for your website promotion and would turn people off. No one wants to follow a conceited, I'm-so-great prima donna. Besides, if your tweets would be all about your products and services, they would look spammy. Post engaging and useful information, answer and ask questions, tweet interesting facts, and send messages that your followers will find valuable. This is another Twitter SEO tactic that'll help increase your followers and improve your brand reputation. The major search engines all include Twitter account pages on their SERPs. Here are website promotion tips on how to get your profile on the front page of search engine results. 1. Consider a username that's relevant to your niche or your business. Your username can affect your website promotion since its part of your page's URL and title tag. 2. Choose a relevant account name. This will further boost your Twitter website traffic, since the account name is also part of the page title. The account name should be different from the username. 3. Promote your Twitter profile page by building links to it. To boost Twitter website traffic, paste a link to your account on your site's footer or other prominent areas. 4. Since your bio serves as the meta description tag, choose your text wisely and keep website promotion in mind. 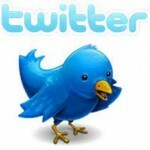 More importantly, Twitter provides benefits that are far different from the advantages of search engine optimization. So, before building your SEO campaign via this social network, make sure to achieve Twitter SEO benefits first. Optimizing your tweets also helps in website promotion. Your tweets help your profile, content and brand gain more exposure. A tweet's title tag is made up of the username of the account sending out the tweet and the first 30 characters. Another Twitter SEO tip is to place the keywords in the post's first few words. When retweeting, there are Twitter SEO techniques you can follow. For instance, it's better to place the "RT@username" at the end of the tweet so that you'll have plenty of room to place the keywords in the tweet. Also, limit your tweets to 120 characters so that there will be space when other users add the RT@username. Otherwise, some parts of your post might get chopped off. Twitter SEO tactics can be easy to implement. This social media website has a lot of potential for search engine optimization. Explore its website promotion benefits, discover new website promotion methods, and make your own experiments. In the United States, Yahoos partnership with Bing has created a powerful force (often dubbed Bingahoo) that may just be able to hold its ground against Google. However, overseas, the reverse is happening thanks to a partnership between Yahoo! Japan and Google. The partnership has been a while in coming, but was only recently able to get past an evaluation from Japans Fair Trade Commission, the group which ensures that no monopolies or unfair trades happen in the country. While Yahoo! Japan had verified that it was in line with the law as far back as July of 2010, there were some groups who were either critical or skeptical of the legality of the merger. Theres little doubt as to why there were initial concerns: After Google U.S. supplies the search technology for Yahoo! Japan, they will be supplying for nine-tenths Japans search volume. Both Microsoft and Yahoo U.S. have raised some questions about the fairness of this partnership. The U.S. competitors werent the only groups upset, either. Rakuten Inc, a web-based domestic retailer in Japan, also raised concerns. However, with the approval of Japans FTC, little can be done to prevent the deal. Yahoo U.S., which owns only a third of Yahoo! Japan, is unable to put up a red light. The stamp of approval is not permanent, however. Acknowledging the possibility for unfair competition down the line, Japans FTC has stated that they will continue to monitor the new Google/Yahoo entity, its behavior, and any monopolistic tendencies that arise. While the decision may be controversial, its not unexpected. Analysts have been predicting this decision for quite some time. What is somewhat surprising, however, is the choice of Google over Microsoft. For Yahoo! Japan, the explanation was easy. Microsoft may work well for Yahoo! U.S., but they lack some important capabilities, such as language search, that are crucial in the Japanese market. Building a successful business takes a lot of work, but it doesn't have to consume your life. You can have the business you've always dreamed of - without spending every waking hour on the phone or at a computer. Infusionsoft have created "The Edge of Success" to give you the tools to grow your business the right way. The Edge of Success is more than just an ebook. 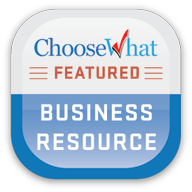 It's a must-have resource guide that will help you take your business to the next level, and you'll reference it again and again. The 9 building blocks in the book aren't just theories... they're actual processes that you can implement into your business today (and start seeing results tomorrow). Now's the time to take your business to the next level. Download your FREE copy of the Edge of Success and put the 9 building blocks to work for you. 1. Internet Marketing Guidebook: 30 Proven Internet Marketing Strategies to help you grow your business online. Click here to download your free guidebook. 2. Email Marketing 2.0 Report: Discover how to close more sales, get repeat business and build lasting, profitable relationships with your contacts using email marketing. Click here to get your free report. Your home address and phone number are now part of the information dump third-party developers can obtain through Facebook-powered Website logins and applications. A new policy lets you authorize applications such as Facebook games and quizzes, and Websites that you log into with your Facebook ID access some of your most personal Facebook data. Facebook announced the changes in a developer blog post on Friday. Whenever you start using a new Facebook application such as Farmville, a pop-up window appears showing you the details from your Facebook profile the application wants to access. Now, under the heading "Access my contact information," developers can ask for your home address and mobile phone number if you've included this information in your profile. This pop-up window also appears when you use your Facebook ID to log into a third-party website such as PCWorld.com for the first time. In Facebook's Friday blog post explaining the expanded permissions, Facebook said users have to explicitly allow access to their address and phone number. The problem is, Facebook's permissions dialog only gives you two choices: hand over your address or don't use the product or service you want to access. That's really no choice at all. It would be one thing if Facebook gave you the power to deny a developer access to your address and still use the application or Website. But instead, Facebook has given ultimate power to developers who can decide whether to demand your address and phone number. Questioned about this apparent discrepancy, Facebook responded with a statement: "On Facebook you have absolute control over what information you share, who you share it with and when you want to remove it. Developers can now request permission to access a person's address and mobile phone number to make applications built on Facebook more useful and efficient. You need to explicitly choose to share your data before any app or website can access it and no private information is shared without your permission. As an additional step for this new feature, you're not able to share your friends' address or mobile information." Marc Rotenberg, president of the Electronic Privacy Information Center, challenges Facebook's approach. "Facebook is trying to blur the line between public and private information. And the request for permission does not make clear to the user why the information is needed or how it will be used," he says in a statement. "This is all part of the FTC's failure to act on the original EPIC complaint concerning the changes in Facebook privacy setting. EPIC explained to the FTC that self-regulation requires the FTC to investigate companies when they change their practices. The FTC doesn't need any new laws and they don't need to issue any reports. They simply need to do a better job protecting user privacy." The big question is whether Facebook's decision to open up your home address and mobile phone number will result in serious or even dangerous breaches of privacy. Security firm Sophos says in a blog post that Facebook's new policy could encourage rogue applications to collect mobile phone numbers for targeted spam SMS messages or to sell data to marketing companies. Sophos also says the ability to access a users' home address will "open up more opportunities for identity theft." In 2010, Facebook users fell prey to numerous scams and malware attacks such as clickjacking, the Ikea gift card scam, dislike button scam, the Russian hacker who claimed he was selling 1.5 million Facebook user login credentials, Boonana malware, malicious ads found in a Facebook application and likejacking, to name just a few. The idea that malicious applications in 2011 could get access to some of your most personal information is unsettling, to say the least. Facebook did not specify why the company is opening up some of the most personal user data to developers. One possibility is that handing over your home address will make it easier and faster to fill out Website membership forms. While this may be a convenient way to sign up for a new service, it is not as obvious what kind of data you are handing over compared to manually filling out a Web form or using a security program such as Lastpass to fill out the form for you. If you are concerned about revealing your home address and phone number, the first thing you should do is verify whether Facebook has this information. After logging in to Facebook click on "Profile" on the upper right side of your News Feed. Then click on the "Edit My Profile" button at the top right of your profile page. Next, click on "Contact Information" in the left hand column, and check to see whether you've included your home address and mobile phone number. You can then edit this information as you see fit. At the least, however, Facebook's timing of its latest amendment to its privacy procedures is questionable. Facebook was recently gaining a measure of respect for giving users more control over their data with new features such as the data export tool and a privacy control dashboard. But the company appears to have taken a gigantic leap backward with Saturday's announcement. In fact, Facebook's decision to release this information on the Friday before a long weekend is also a questionable move. With most people going about their weekend, many were unlikely to notice the policy changes--a fact Facebook was probably well aware of when it planned its announcement. UPDATE 18th January 2011: Facebook temporarily halts phone and address data access by applications. They agree with critics that people needed to be more clearly aware of when they are granting access to this data. For more information on this, visit the Facebook Developer Blog. I've made some changes to the blog over the past few days. One of these changes include a Contact Tab where you can contact me to ask questions, post your feedback, or to submit your articles for review to be included on the blog. Another noticeable change is a new widget at the bottom of your browser which has a selection of tools that allows you to access my new Facebook fan page, my tweets plus other tools to allow you to like, tweet, share, translate and search my latest blog posts. I'm currently experimenting with this new widget to bring you the best tools possible, so that you can easily interact with my blog and social networks like Facebook, Twitter, Digg, MySpace, LinkedIn, Google Buzz etc. More exciting changes are on the way. I'll keep you posted on the Facebook fan page when they become available. To get these announcements on your News Feed, don't forget to "like" the fan page. If you haven't already done so, may I suggest you read my recent article: Does Google Consider Your Site Safe? This article explains the problems my blog was experiencing with regards to Google and how it could effect you because of your outbound links. This article has also been posted on SiteProNews as an exclusive. Finally, don't forget to claim your 5 free ebooks as there's only a few copies left. More information on these free ebooks and how to claim them can be found on the post: Get Blog Updates On Facebook. Until my next post, have a great weekend! Facebook is NOT welcoming of the marketing efforts of its users; and often, family and friends on Facebook are ANNOYED by marketing efforts. Both of those statements are undeniable. So trying to "market on Facebook" requires good sense, strict moderation, and an understanding of how Facebook might work for marketing purposes. Personally, I rarely post any marketing messages on Facebook. I post them on Twitter frequently, but I also try to make sure that 75 - 90% of what I post on Twitter is either personal interaction, plugging good free content, or plugging other people's stuff. I do think, however, that monetizing my content on even free social media platforms is perfectly acceptable. Why? It's simple. Even though the platforms are provided to me for free, I'm also providing the content that allows the network to exist. If nobody posted on Twitter, they'd be broke. So again, in moderation, with good sense, and with a priority on relationships over sales, marketing across these platforms should be an acceptable thing. Now about the good sense part. Why is it That Social Platforms Are So Effective for Marketing? People are social, by nature, so they love recommending stuff they like. Facebook, Twitter, and other platforms have a rapidly expanding user base. Authenticity is demanded as people will give honest and public feedback. The platforms are accessible and easy to use by design, even by people with few technical skills. For the most part, marketing across social platforms is free, but doing it badly can cost dearly. Why Is Facebook So Important to Messaging and Marketing? With 500 million (and growing) unique users worldwide, Facebook is the number one social networking site in terms of activity and subscriptions. What started as a garage initiative by Mark Zuckerberg has now become the biggest phenomenon on the internet. A user interface that allows for quick communication and the ability to create fan pages and groups at the click of a button are what make Facebook extremely popular. Another important reason for its immense popularity is the wide variety of social applications that have been developed and made available within the Facebook environment. Advertising: The first, which is the most obvious one, is advertising on Facebook. The difference, however, is the fact that you can create an advertisement in a matter of minutes and also specify the details of your target group in terms of demographics and types of discussions where you want your advertisement to appear. Fan Pages: Facebook allows every brand, as well as individual users, to create fan pages for their favorite celebrities and their own businesses. Large brands have also created their official pages on Facebook that have a huge, immediate fan following world-wide. The fan page has immense utility to convey first hand information about the brand and also to collect immediate and frank feedback from your customers. Branded Applications: One of the most effective ways to engage a user toward your brand is by creating an application; this could be a game or a contest, with your branding coming across subtly through it. What makes Facebook even more exciting is the way it allows you to target your communication sharply just to the customer segment you want to attract. It also provides analytics and page insights that give good feedback and measurement on the activity done. Facebook is envied by other platforms and internet companies because, at least for now, they own the social graph. If Google has mapped the Internet's URLs, Facebook has mapped the Internet's personal relationships and connections, and that's extremely valuable. Why else would a company with virtually no physical assets to speak of (other than offices, servers, and datacenters) be worth billions of dollars? 2. Facebook is about relationships. You don't have a "relationship" with a door-to-door vacuum cleaner salesman - so don't be one on Facebook. 3. Being personal is everything. Successful Facebook marketing campaigns revolve around personality. 4. There isn't a magic formula for making any message "go viral." You can't control a virus - that's what makes them viral. 5. People like Facebook for entertaining stuff. In fact, entertainment is defined as "holding one's attention." Remember this. 6. Facebook ads are more personally targeted than ads anywhere else. 7. Being "liked" can work very, very well for your message. Being "unliked" (no, there's not a button, but it can happen) can bury you. 8. Facebook is in control. Always remember this and don't ever, ever assume its available tools won't change. They have and they will. 9. Don't build a business on Facebook marketing - or Twitter marketing - or newspaper ads, radio ads, TV ads, or leaflets dropped from hot air balloons. Build your business on a great product, a great message, and great relationships. About The Author: Brandon Cox is a Communications nut, a blogger, designer, web entrepreneur, and a Pastor at one of America's largest churches, Saddleback Church. And he loves helping people blog for income. Every owner of a website on planet Earth knows that getting a constant flow of traffic is the key to making money online. The world wide web attracts such a massive number of buyers that regardless of what you sell, you will make some really good money when you have lots of traffic. Internet marketers are constantly coming up with newer ways to expand their reach across the Internet because no website can survive without enough specific traffic. In their quest to obtain more of the elusive traffic, the website marketers have come up with some rather creative ways to bring in greater amounts of traffic in a short period of time and with little effort. My email inbox has been flooded with sales letters promoting some automated software or seldom used secret that promises an explosion of website visitors within 30 days. The disturbing part of all this is that it goes against the teaching of our early years; that nothing good comes easy and there is no quick path to building a successful business. As a result of these promises of abundant website traffic and exploding sales figures, many have abandoned those time tested methods of attracting real targeted website visitors that are prepared to take some kind of action. Keep in mind that website traffic isn't something that you can just get, but visitors will come to your website when you have something to provide, enticing them to click on your link. Too many people are cashing in on a person's desire to get to the top without much effort by offering some really useless website marketing techniques that could actually kill their search engine rankings. The fact is that these are nothing more than 'Marketing Fads', that may produce some huge results in the beginning, but when the newness wears off their effectiveness will fade away forever just like the telephone booth. Remember when pop-ups and pop-under advertising came out years ago? This was the hottest marketing tool since the time of placing fliers on cars in parking lots. However, when people around the world started using pop-ups to promote their websites there were windows popping up every time you visited and exited a website. Internet users worldwide got so sick of all those pop-up windows that someone invented pop-up killer software. The search engines even started penalizing websites that were using pop-up scripts and soon after that method of website promotion faded away. I will attempt to identify and explain some of these useless website promotion techniques that should be avoided at all cost. Using some of these bad website marketing techniques could certainly kill your search engine rankings. These free search engine submission websites allow you to put in your URL, keywords and a description of your website. You then click Submit believing that your website is on its way to being indexed on thousands of search engines. Not so! First of all, the major search engines require manual submission by hand and even implement coding script to prevent auto submission. Secondly, when you click on that Submit button you have no idea where your website link will end up going. Your website link could be automatically posted to illegal or international directory websites that are nothing but a colony of spam links. If Google crawls your website and finds out that you have links to your website coming from other websites with rotten content, then your website will pay the price in low rankings. There is absolutely no substitute for manually forwarding your websites to the search engines. You will have complete control over where your link is going, and the search engines will automatically crawl your website to get your title and description. You may have seen those places that claim you can blast your website to over 2 million websites and directories. As a general rule, please stay away from anyone that uses the word 'Blast' because this is just another way of saying Spam. It sounds like you are literally placing your link on millions of other websites and getting tons of instant backlinks to your website. Those FFA or Free For All websites are nothing but a link farm containing links from sites with bad or irrelevant content. The search engines won't ever see your website as being respectable enough to rank high in the search results if it is affiliated with that type of environment. I once got an email that said, "Hello Webmaster, My name is John. I have been searching the Internet for some business opportunities and came across your website. I just wanted to know if you are still in business today. Please email me at this_email@emailaddress.com and let me know. Thank you." I replied to the person giving them more information about one of our websites. That particular email was forgotten until I got a few other emails with the same content from different names and email addresses. This matter sparked my curiosity and prompted me to do some further investigation to find out why these emails turned up so frequently. I discovered that this was the work of lead generation software that extracts website links and email addresses from the Internet for any category. You just type the keyword in the search box and the software literally pulls in millions of email addresses. The software even allows you to email all those addresses. On the surface it appears to be the perfect way to put your website link in front of millions of people in the same industry as you. This has the look and smell of spam, but because the one sending the email does not attempt to sell you anything, it's not quite spam. This marketing technique is not very effective because the email is generic, impersonal and did not give the reader a reason to respond. Your emails should speak to a person's needs and not just at them. Readers respond to emails if you find a way to reach their interests, giving them a reason to take action. Google loves websites that have lots of quality backlinks, considering such links votes on the importance of those sites. Somebody got this crazy idea to automate the link building that Google loves, hoping to get huge numbers of valuable links and move to the top of the search engine results. Google has now gotten smart and has found to way to detect how you are getting your backlinks and even the speed at which you are getting them. So, if you are still buying links or using software to get instant backlinks, then chances are Google will find out and penalize your website. Nothing can substitute for writing valuable content that will automatically attract quality backlinks. 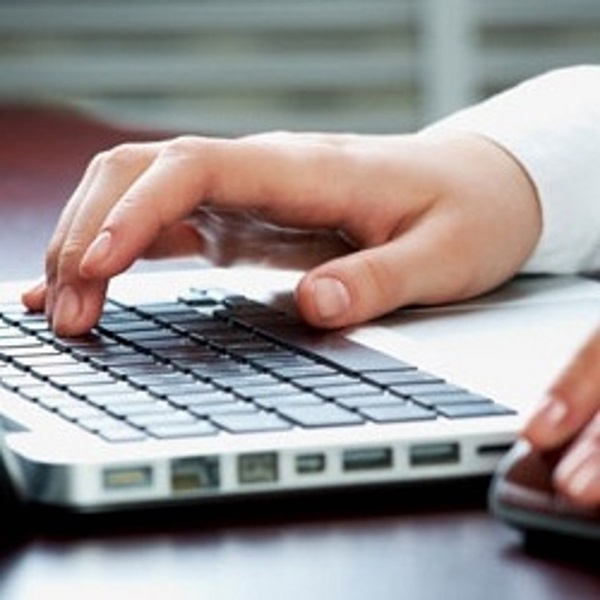 Writing high quality articles is a great way to attract targeted visitors to your website. Again, someone invented a way to automate this process as well. They came out with article submission software that they claim will automatically send your written articles to hundreds or even thousands of directories. There is even software that will take one written article, spin the title and words around, and send them to more directories. This software sells like hotcakes because people don't want to do the labor intensive work of writing their own articles and sending them manually to article directories. The real, authentic article directories that can syndicate your articles are getting smart and have installed a special code that disallows auto submission of articles. They have also installed a special script that can detect articles that have been spun off from the original. Most of them manually approve articles before they are published in their directory and can easily detect duplicate and spinned content. Widespread use of these automated website marketing techniques has taken away the need to apply really genuine website promotion that gets real results and replaced it with push-button marketing. You may see some quick and positive results, but only for a short period of time. Treat your website like an infant; give it lots of attention, feed it some healthy content, protect it from dangerous spam activity and let it grow naturally over time. About The Author Deek Ennis is the Founder and CEO of Buildstar Wholesale Resources. Since 2003 they have helped over 100,000 businesses fulfill their wholesale and drop ship product sourcing needs with free worldwide shipping on over 5 million wholesale products. Does Google Consider Your Site Safe? Recently, Google introduced a new security layer to it's search engine results pages (SERPs) which informs users if a site has been compromised through hacking (see post: Google Adds New Security Layer To SERPs). Although this new security layer is good at protecting users and their computers from sites that have been hacked, what you may not know is that Google maybe warning users not to visit your site, because of your outbound links. 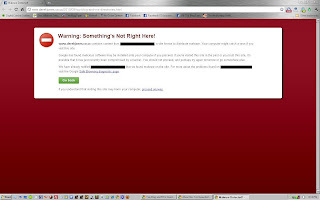 Last Friday, I received a message from John Gilbert of The Blog Farm informing me that my blog was unsafe to visit because it had a link to a site that has malware. After doing some checks on Google, Webmaster Tools and even on Google Safe Browsing Diagnostic Page, there was no indication any said links existed on my blog and that my site was safe. Initially, I was shocked because I'm very careful who I link to on my blog. Furthermore, I could not understand why Google's SERPs, Webmaster Tools and the Google Safe Browsing Diagnostic Page were not picking this up. After further investigation, it was found that John was using Google Chrome whereas I was using Internet Explorer. It was also found that the said link was actually a comment from a reader on one of my blog posts. The link that this reader had posted was actually to a respected site. However, because it had recently been hacked and malware left on the site, that site plus my blog was now considered harmful by Google. If it wasn't for John, I wouldn't of been aware of the problem, costing me crucial visitors. If you run a blog, discussion board or any site that allows visitors to post messages and links, be warned. You may be careful in ensuring that your site is safe, but it only takes one outbound link to a site that has been compromised to cost you visitors, money and maybe your reputation. Also, don't fully rely on Google SERPs, Webmaster Tools or Google Safe Browsing Diagnostic Page to pick anything out of the ordinary. These might indicate everything if fine but as you can see from my case, it wasn't. My suggestion is check your outbound links often using Google Chrome to access your site on a regular basis. That way, you can be sure your site is considered safe and not being blocked by the major search engine. Our hosting company has been experiencing intermittent server problems over the past 48hrs. If you've had difficulty connecting to the Mirage BBS Discussion Board or downloading your free ebooks, I do apologise. Hopefully, our hosting company will have this issue resolved soon. UPDATE 4:35pm: The server problem has now been resolved. Thank you again for your patience. Yahoo! has done it again. In less than 4 years the company has gone ahead and issued the pink slip to as many as 2,700 employees. History says that the Sunnyvale, California based company had sacked around 1,400 jobs in the year 2008 during the time of recession and then up to 700 job holders were shown the gate in the very next year 2009. Following this is yet another lot of 600 people who now have to look for other job opportunities. The downsizing saga continued with Yahoo! chopping of 600 jobs during December mid-month of 2010, but the number supposedly higher than the real deal. There were speculations of at least a 20% layoff which in real-time has reduced to a 4% layoff. Although there were reports of the fact that the layoffs would majorly be in the Yahoo! products group, which builds Web properties like the company's popular news, sports and finance pages, as well as its widely used e-mail service, there is no definite news that the downsizing has taken place in this particular division as yet. Rumors doing rounds suggest that the head of the products group at yahoo Blake Irving who moved from Microsoft to Yahoo! has his plans cut out and plans to reduce operational costs by cutting jobs of up-to 20% in his division. Now let's move on to a more sane discussion and try to understand the logic behind such downsizing and see if this kind of strategy has really helped Yahoo! over the past. Understandably and a very obvious reason for the layoffs is to cut down on costs. Secondly, the company wants to ensure that it aims at optimized downsizing i.e., an effort to chop jobs that aren't as productive as they have to be. Yahoo! is also looking at re-inventing itself in order to compete with internet rivals Google. A Yahoo spokesperson said "the company will continue to hire on a global basis to support our key priorities and laid-off employees will receive severance packages and outplacement services". This meaning that the company does not always endorse the idea of downsizing. Carol Bartz, Yahoo! 's CEO has her work cut out. After having shown the gate to as many as 2000 employees and more, Bartz now has to ensure that she does not put a step wrong in the future. Her plan is to streamline the company and drive its focus around content again. To turn Yahoo! into what it was a few years ago Bartz says she needs some time. The company under her leadership has surely cut costs and also cracked a deal with Microsoft's Bing. So it is not a bad idea to downsize but there needs to be enough care taken to ensure that there are no hiccups like the idea of arranging for severance packages and outplacement services, improving business deals, etc. Though 2010 has proven to be a mix of good and bad for Yahoo! there could be some respite for the company in store in the year 2011. Happy New Year..!! I hope you all had a fantastic Christmas and enjoyed the New Year festivities :) Here's wishing you much happiness, joy, peace and prosperity throughout the coming year. Now that we're in 2011, I will be making some changes to the blog (see previous post). One of these changes is to synchronise my blog with Facebook, enabling readers like yourself to subscribe and follow my blog through Facebook. I've been working hard over the past 24hrs to implement this change... and to start the New Year off with a bang, I am pleased to announce that the synchronisation has been completed and you can now get blog updates posted direct to your Facebook page. By using the NetworkedBlogs Facebook Application, you are now able to follow my blog via Facebook and have all new blog posts posted directly to your wall. The links above will automatically subscribe you... just login using your Facebook Email and Password to complete the process. You can also use the widget I have installed on the sidebar to subscribe. 1. Blogging For Success: An 11 page ebook that teaches everything you need to know to Blog successfully. 2. Better Business Blogging In 2011: This complimentary 24-page curated ebook, written by four business blogging experts and including case study examples, will help you get your efforts off to a better start in 2011. 3. The Insider's Guide to Article Writing Best Practices: A 15 page guide to understanding the right approach to writing articles and giving them widespread appeal with a handy checklist of 100+ common errors you need to avoid. 4. The Insider's Guide To Understanding Duplicate Content: A 12 page ebook on how Google defines "duplicate content", how to use syndicated content safely and how to maximize exposure for your content in a Google-friendly way. 5. How to Increase Twitter Followers on Autopilot: A 42 page ebook in PDF format that tells you everything you need to know about building and monetising your Twitter follower base. Once you subscribe, send me an email or a message on Facebook and I will provide you with the links to download these quality ebooks. Don't forget, these ebooks are only available to the first 50 readers who subscribe... so to avoid disappointment, subscribe now to reserve your copies! I'm still making some final adjustments to the synchronisation which should not effect you. However, if you do find a problem with subscribing or that you're not receiving blog updates on your Facebook page, please let me know. You can check the latest blog posts directly on Facebook by visiting this page. Until my next post, have a wonderful New Year's day!